No, I haven’t died, so cancel the wake. I’ve been a little busy of late and the poor old blog has suffered from scant postings. For that I apologise. I need to catch up with a heck of a lot of food stories, recipes and history with you all; I may not have been blog-writing, but I have been eating! At the end of June, I popped down to the beautiful city of Bath for the weekend to visit friends and had a jolly old time. The great thing about Bath is that it has such history; you cannot help but find something to be amazed by at the turn of every street corner. The spa at Bath has attracted people for millennia – there is archaeological evidence of human settlement going back 10 000 years. The city of Bath itself was founded in 863BC by a chap called Bladud. Suffering from leprosy, he had been ostracised from society and found that bathing in the warm, muddy springs, after seeing pigs doing the same, cured him. It must have put him in fine fettle because he later went on to become the ninth King of the Britons and to father King Lear. Of course it was the Romans that really transformed the place, creating Aqua Sulis with the baths that are still there today in fine working order. From the point of view of food, however, Bath really came into its own in the eighteenth and nineteenth centuries when it was deluged by the middle classes that wanted to get away. 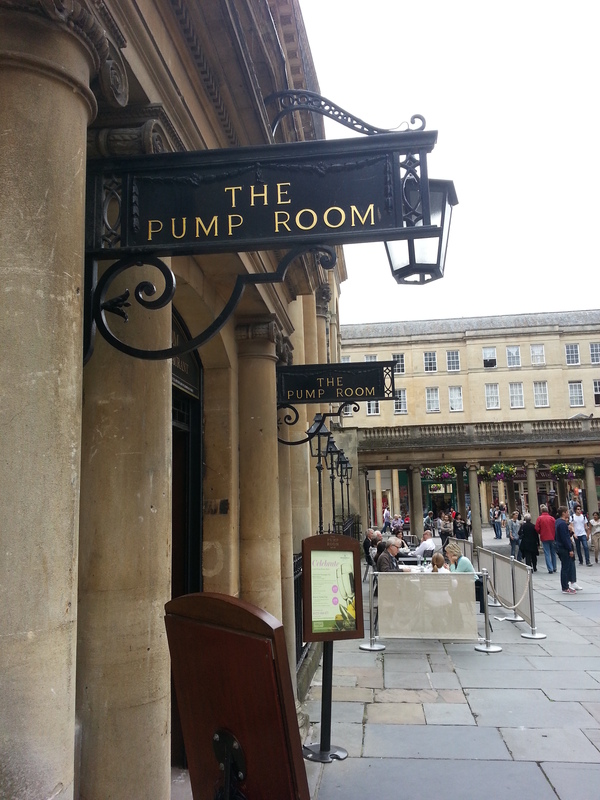 The Roman Baths and Pump Room were restored to their former glories after centuries of neglect, making Bath the best of all the spa towns. 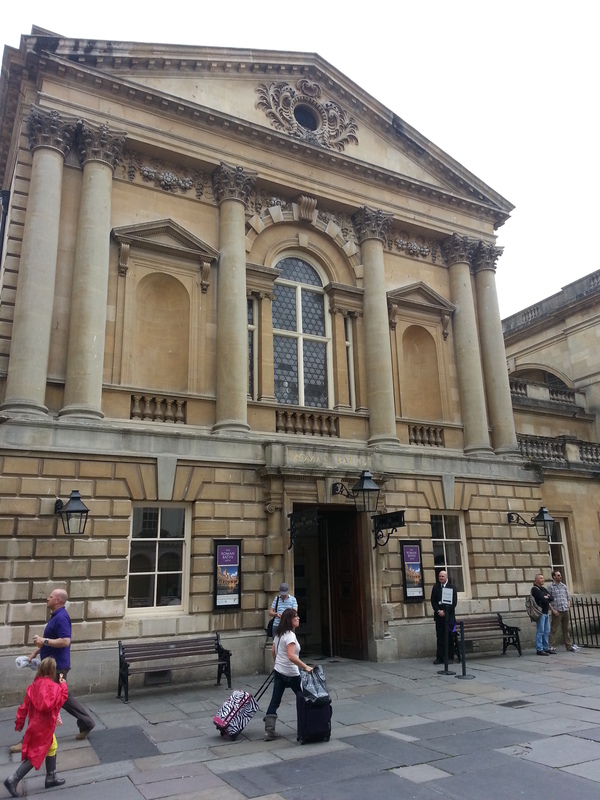 This wasn’t just because of its locality to London, or that it was in a lovely part of England; it was because Bath simply had the best of everything. Bath was a trade epicentre: excellent salt marsh lamb from Wales, a seemingly endless supply of fruit and vegetables from Tewkesbury, cider from Glastonbury, apricots, cherries and plums from the Cotswolds, cream and junkets from Devon and Somerset, excellent freshwater fish – especially elvers – from the Severn Valley as well as sea fish from the ports of Cornwall, all came to one place. And that was just British produce! I haven’t mentioned the French brandy, the Spanish wine or the exotic spices from further afield. I’ve never seen either Bath buns or Sally Lunns anywhere other than Bath itself, which just goes to show that we still have regional cooking in an age with a seemingly swirling and mixing population. I like that you don’t see them everywhere; it makes eating one a rare treat to be relished. There are, of course, stories attached to the invention of these enriched breads which should be taken with a huge pinch of salt. 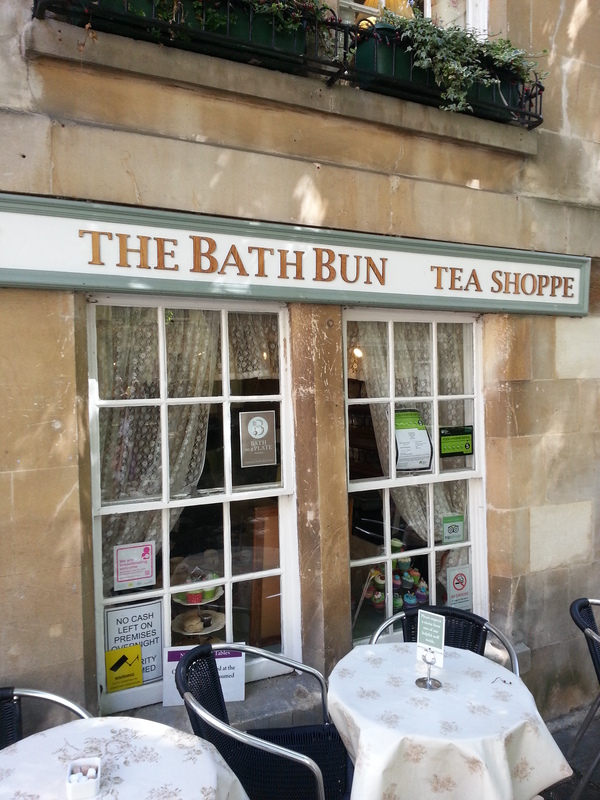 A bath bun is a large fruit bun, made with dough similar to that of a Chelsea bun or hot cross bun. 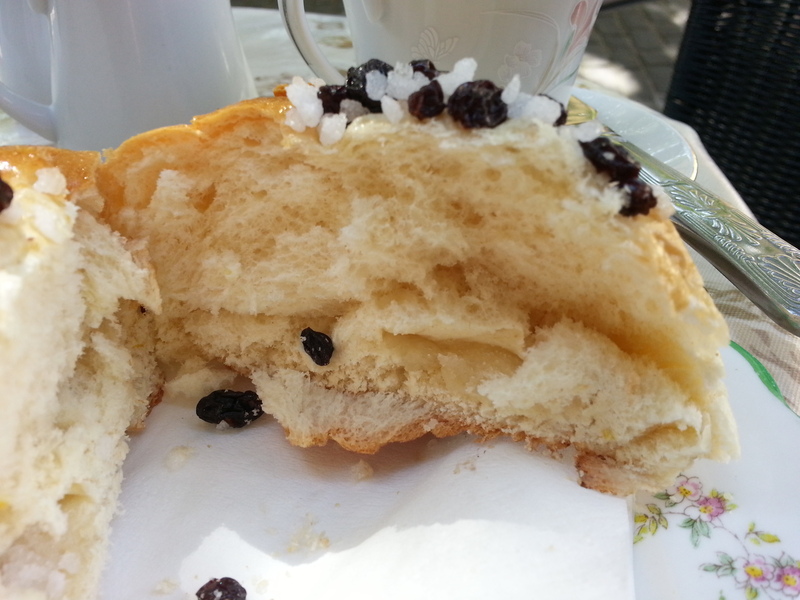 The bread dough is enriched with eggs, sugar and currants. At the bottom of each bun is a lump of sugar and the freshly-baked bun is finished with a sticky wash, extra currants and crushed loaf sugar or sugar nibs. his patients were getting somewhat portly. He withdrew the buns and replaced them with hard, dry water biscuits. The Bath-bun is a sturdy and gorgeous usurper – a new potentiate, whose blandishments have won away a great many children, we regret to say, from their lawful allegiance to the plum-bun. The Bath-bun is not only a toothsome dainty, but showy and alluring withal. It was easier for ancient mariners to resist the temptations of the Sirens, than it is for a modern child to turn away from a Bath-bun…Large, solid, and imposing, it challenges attention, and fascinates its little purchasers. We can see from this quote that the Bath bun was popular, not just in Bath, but England and Scotland, so what happened to it? Enriched breads are still pretty popular in Britain, even with the advent of comparatively modern chemically-aerated sponge cakes. Strange. A young French immigrant lands in Bath during the 17th century and gets herself a job in a bakery where she shows off some of her recipes and one in particular becomes very popular indeed. Her name? Solange Luyan. The recipe went missing in the 1800s, but was apparently found during the 1930s when it was discovered in a ‘secret cupboard’ in her original home. 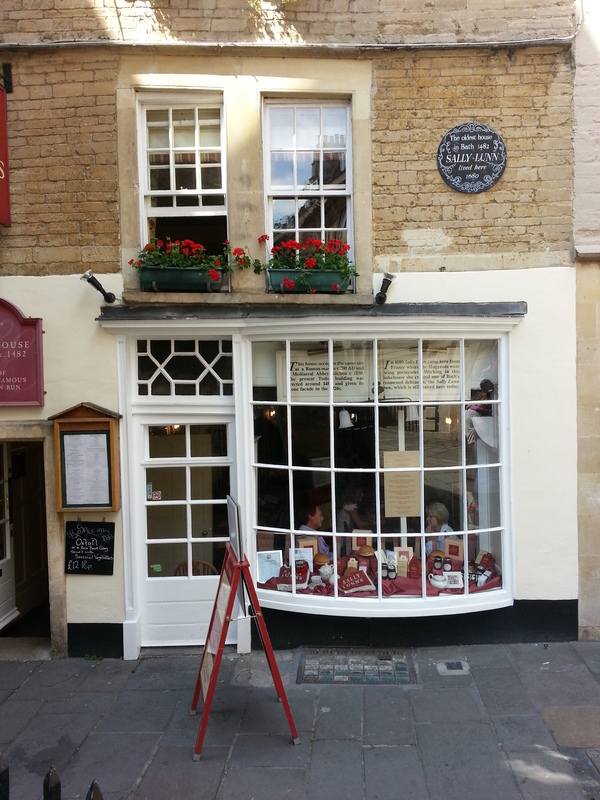 The owner of the house then decided to open up the original Sally Lunn Tea Room. This is, of course, all complete nonsense. 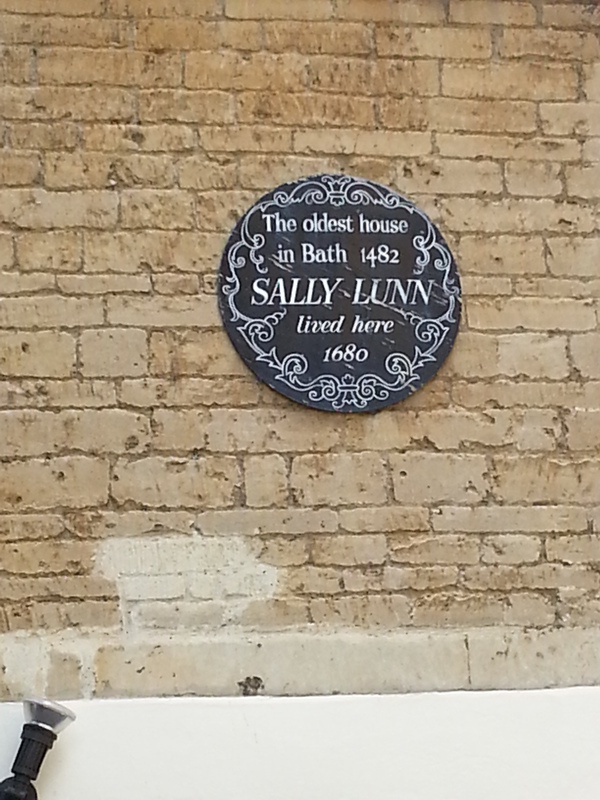 The most likely explanation is that Sally Lunn is a corruption of the French solielune, or sun and moon cake. I visited the tea rooms and ate a delicious lightly-toasted Sally Lunn spread with sweet cinnamon butter and it was delicious. Like the Bath bun, its popularity had faded in the rest of the country. I’ve never understood why the Bath bun disappeared from general consumption in England. 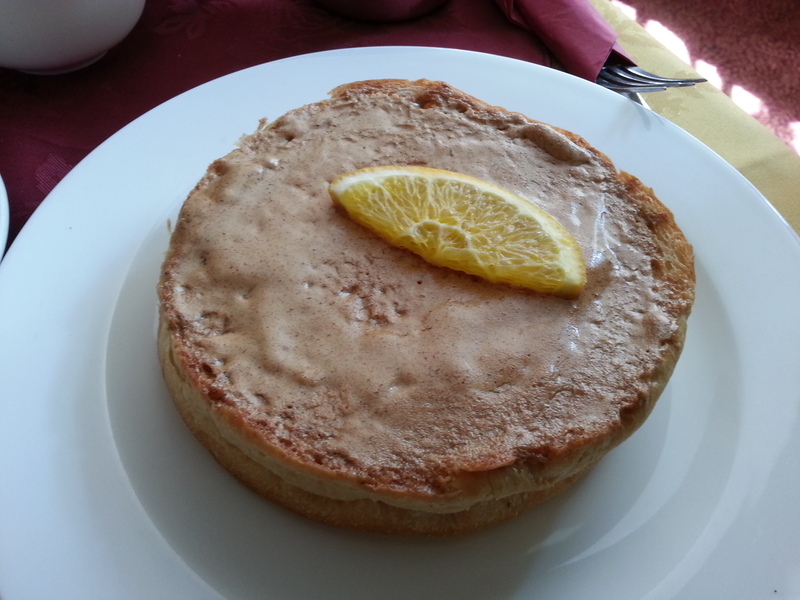 In the fifties and even the early sixties every local bakery made them, if not every day then several days a week. I don’t know when they disappeared but when I returned to England on holidays in the early 70s they were gone, even from traditional haunts of afternoon tea such as Harrogate and Tunbridge Wells. Well I shall be trying out a few recipes and reporting back with the best one. I expect it will be Ms David’s or Ms Grigson’s. Both need bringing back, but the Bath bun has to be the best of all. I’ve never tried Bath Olivers – and had only heard of them whilst researching this post!